My favorite books of last year - Jack Does Good - Visual communicator on a mission to do good well. To make it easier on myself, I’ll skip over these books I already wrote about (Ta-Hehisi Coates!) and Neurotribes, a surprise delight I wrote about here. A theme of 2017 for me has been balancing technology and life. 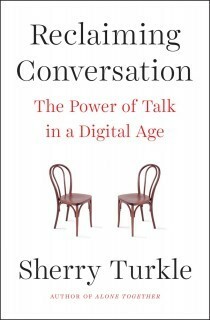 I loved Turkle’s book for the research it brought to the problems I already feel creeping into the way that I and my friends interact with each other. I also basically think anyone who is planning on kids should read this book. My friends all got an earful as I brought up different interesting points in this book. I don’t blame anyone for the way that technology has disrupted our social dynamics, but as it is a part of our lives, I think it’s important to understand how we can learn to live with it so our human relationships stay human. Note to Self. A podcast that tackles dealing with life in the digital age. The Organized Mind: Thinking straight in an age of information overload by Daniel Levitin. Hidden Brain. A great podcast about about “unconscious patterns that drive human behavior”—I’ve often found that the podcast describes behaviors or changes I could make my make more successful in the world. 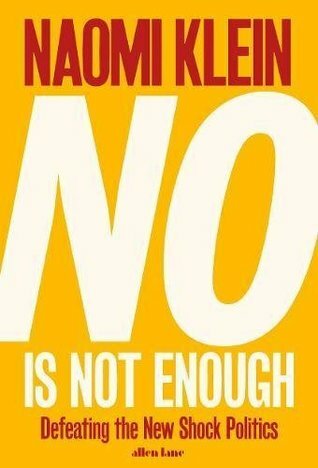 NO is Not Enough: Defeating the new shock politics. Katie lent me this book and I warned her that it takes me forever to read physical books. Having said that, I threw it in my backpack before a flight to London and ended up finishing it by the time I came back. Turns out, it’s fascinating to know the real life terrible things that the people in power right now are have done and are in the position to do more of. Fascinating in a deeply terrifying and out-rage inducing way. After work I would go back to my hotel room and keep reading. Some (most) of these people read like comic book super villains. Pod Save America. A funny and smart podcast from the former speech writers for President Obama that discusses politics, often with interviewing politicians or other people in the political space. Hearing about national politics often seriously ruins my day, but at least they have a really entertaining podcast. Evicted: Poverty & Profit in the American City by Matthew Desmond. After listening to the poverty tour by On the Media (I mentioned before), I had to check out one of the books they mentioned. Prepared to get bummed out. The Confidence Code by K. Kay & C. Shipman. For the sake of not being bummed out, this book about understanding the importance of confidence and how women can achieve it. 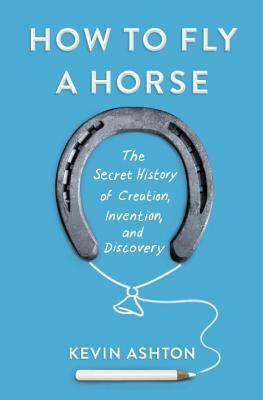 How to Fly a Horse: The secret history of creation, invention, and discovery. As a working professional (in a relatively creative field), I really found this book motivating. It talks about history of different inventions or great thinkers and how the key to success isn’t really being a special genius. Everything is builds off of something in the past, the key eyes knowing the history or creating a history of your own through lots of trial and error. It was a really convincing book, easy to get through, and I loved learning about the different histories of inventions and inventors. In fact, maybe I should read it again. The Upside of Irrationality by Dan Airely. I mean, you already know my bias towards liking social psychology books, but I thought this one presented a lot of new information. 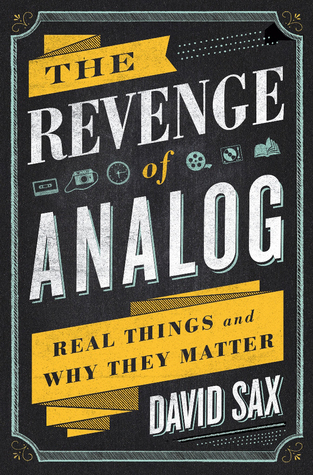 The Revenge of Analog: Real things and why they matter by David Sax. Another book about managing technology life that follows the history of different products. As a designer, I really appreciate the quality of products and the book fed into my own perspective about keeping this real, tangible experiences. The process of doing something is rewarding. I ended up subscribing to Stacks a curated magazine subscription service, after hearing it mentioned in this book. Every Little Thing. A short and fun little podcast about the random histories of random things, big and—well mostly—small. I obviously had to read the book after I got to see the musical in SF by winning the lottery (#blessed). It was really incredible hearing about the of Hamilton and the best way to re-up the US history lesson you missed in grade school. It’s a really long book and I couldn’t stop listening, I would just spend hours on the weekend listening his story. It’s crazy to me that Lin-Manuel Miranda read this biography and was like “I should write a musical about this!”. 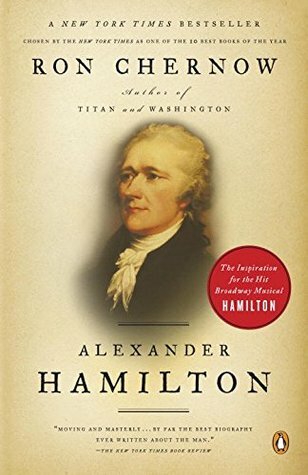 I did notice the small details from the book that Miranda included in the music, like Jefferson’s swagger……..but I should emphasize that even if you haven’t seen the musical, I thought this was a really fascinating life story and especially great if you like listening to history (or you don’t know if you do or not). Benjamin Franklin by Walter Isaacson. Another great biography of an early American. More Perfect. Amazing podcast looking into the history of Supreme Court cases. Notorious RBG by I. Carmon & S. Knizhnik. After listening to More Perfect, you’ll want to learn more about the amazing human that is Ruth Bader Ginsberg. What Trump can teach us about Con Law. Podcast by Roman Mars about constitutional law and how it relates to trump. This list is reminding me that I don’t read enough fiction anymore and I especially never read happy books. There’s always 2018!